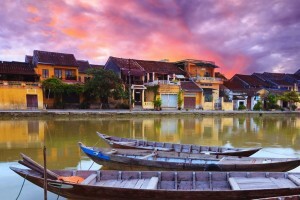 Vietnam is a relatively small country in South East Asia, measuring only 329,560 square kilometres. It’s about the size of California, but surprisingly it is actually 35% larger than the UK, but of course it is longer from top to bottom at approx 2,000 kms. Most of the country is less than 50 kms from its superb coastline and more importantly their weather is very good most of the year and ideal for a round of golf in any month. However it is worth noting that with such a long coastline there are three different weather systems from North to South. 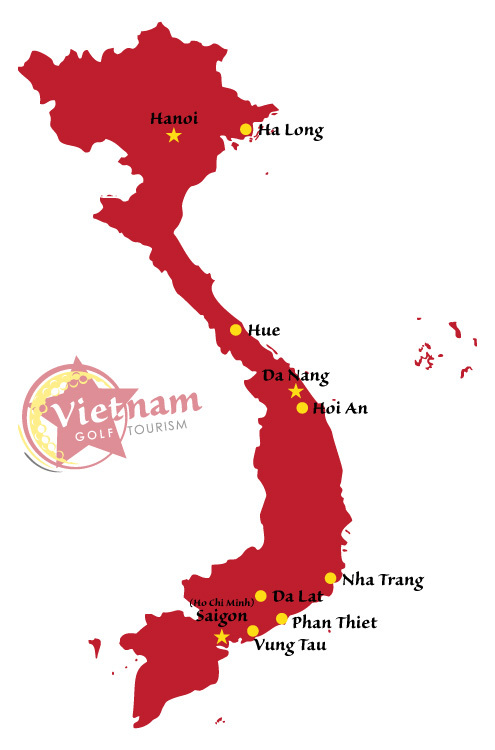 Golf is mainly played by our vacationers in the three main areas, the Hanoi region in the North, Dan Nang in the Central region and Ho Chi Minh in the South. 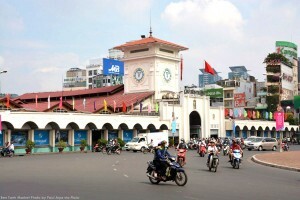 Hanoi and Northern Vietnam has cool mostly dry weather from November to April when temperatures average a very pleasant 17-22%C . The coldest months being January to March, with May to October being the hottest months averaging 30%C and the rain does fall between July and September. Remember that here they have tropical rain, so it may be hard but it is still warm, and with excellent drainage you can still play golf. 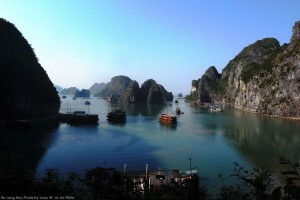 Here they have hot and dry weather from mid January to late August, with temperatures in the mid 30%C. During the winter the rainfall does increase between October and November. With a small mountain range close by, the weather can differ on any day and here you also have the benefit of the coastal breezes. While temperatures here remain fairly constant year round, they still have two seasons, wet and dry. From November to early May is their dry season, while they experience their wet season from May to November with June to August having the highest rainfall. They say wet, but although it is sometimes heavy, it is normally short spells in mid afternoon. The average temperature is between 25-35%C year round. 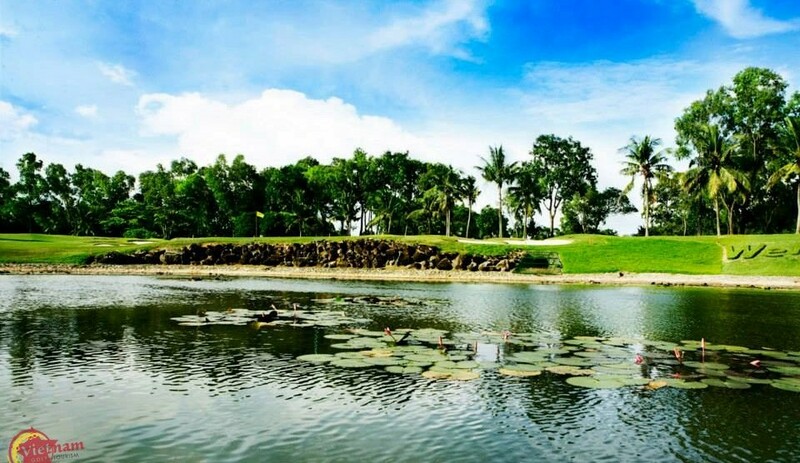 With cooling sea breezes and some excellent warm playing conditions, golf in Vietnam is a real pleasure.